Choose from our great selection of New York charter boats, including some of the coolest New York yacht charters around! 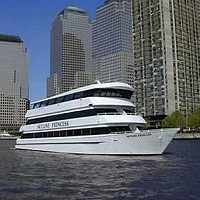 Find charter boats in NY that will take you to some of most amazing sights in NYC and other parts of the state. Luxurious Charter Yachts in NY! Del Rio Yachts offers some of the finest charter boats in New York, New Jersey, and Connecticut! The minute you contact one of the experienced event coordinators, they will work as closely with you as possible--providing you with all the information and suggestions you need for your upcoming event. Once you step aboard a Del Rio Yacht, you are guaranteed total customer satisfaction! All vessels offer the most exquisite cuisines for you to feast on. Del Rio can accommodate groups of all sizes. Whether you're planning a romantic cruise for two or a gala event with over 1,200 guests, you can book an unforgettable cruise on one of the classic or modern-styled vessels. Experience Your Very Own Charter Boat On A Personal Level! Atlantic Yachting LCC is known as a family-run sailing company. They have been providing quality service for the past six years. One can avail different options to suit your needs. Make your own private party, whether it is for birthdays, weddings, or other entertainment purposes. They offer unique services like having the option to sail wherever you want and you get to bring personal items such as food and drinks. Try Atlantic Yachting LCC as they are the best charter boat company in New York! Atlantic Yachting LCC is very accessible as one can book online. They offer the lowest rates that can be pocket-friendly! Pricing starts at $490 for a 2 hour sail. NY Yacht & Boat Charter was established in 1998, and since than it has offered some of the best yachts and boats in New York. Whether you want to organize a small party, a corporate event, or a wedding ceremony, you will not regret it if you choose NY Yacht & Boat Charter. They match the needs of every client who walks through their door. You don’t have to bring any food, beverages, or decorations. You will get all of that for no additional cost. No matter which of 17 vessels you choose, the crew will make sure you enjoy every moment spent on the yacht. Elegance and Relaxation Just Within Your Reach! Classic Harbor Line has been providing services since 1999. It offers different yachts and charter boats in New York. One can avail services whether it is for parties, corporate events, holiday parties, wine pairings, beer pairings, weddings, and other special occasions. Classic Harbor Line offers quality service; their crews have undergone training to ensure passenger's safety and offer the maximum level of satisfaction. They offer different private charters according to your special needs. It can accommodate up to 75 guests. One can choose from cocktail parties, buffet style dinner, and formal event dinner. Check out the best charter boats in New York! 18 Years Of Excellent Service! 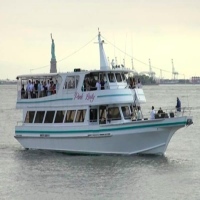 Marco Polo Cruises is the best New York Yacht Company as it caters to any event. Marco Polo specializes in private parties such as proms, graduations, birthdays, corporate events, weddings, and casino cruises. They offer the best DJs and bartenders in New York. Marco Polo Cruises knows how to get the party started from day to night. 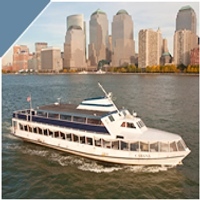 Try Marco Polo Cruises as they are the best charter boat company in New York! A Charter Boat That Has A Lot Of Load! 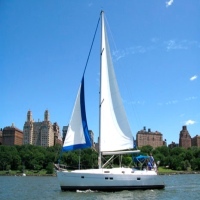 All NYC Yachts is known for providing excellent services. They are highly experienced when it comes to charter yacht brokers. An individual can ask for special requests to suit their needs. They have over 40 yachts to choose from depending on the events. Crew members are very well trained as they offer security to the passengers and won’t fail to entertain them with exquisite menus to satisfy ones cravings. 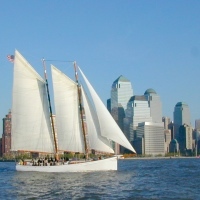 Try All NYC Yachts as they are the very best charter boat in NY! 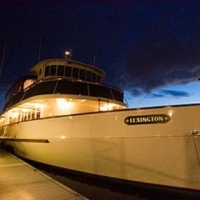 The best charter boats in New York!